Would you like to dock windows on the side of your desktop, or add some new mouse tricks to Windows? 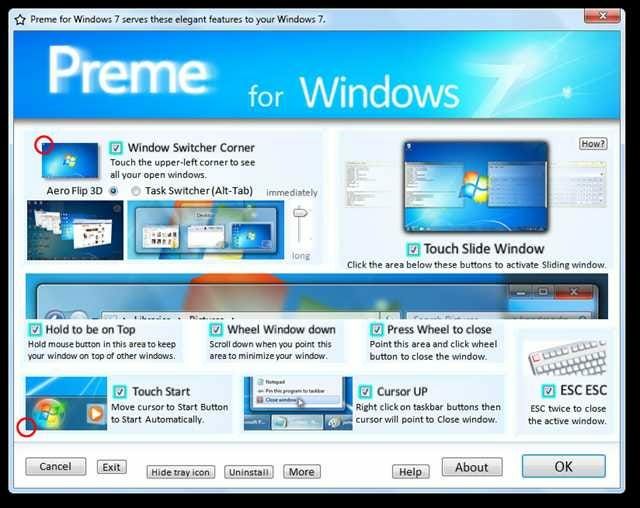 Here’s how you can teach Windows 7 some new tricks with Preme for Windows 7. 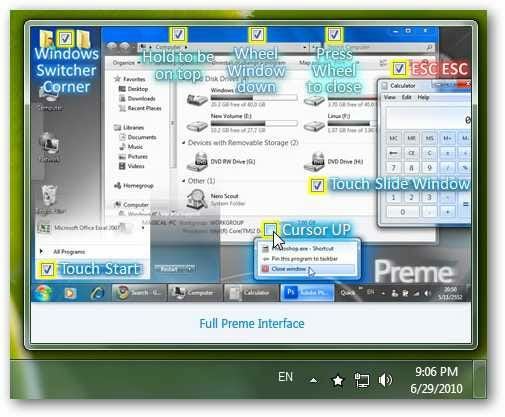 Preme for Windows 7 is a new beta application that lets you add a variety of effects to Windows 7. 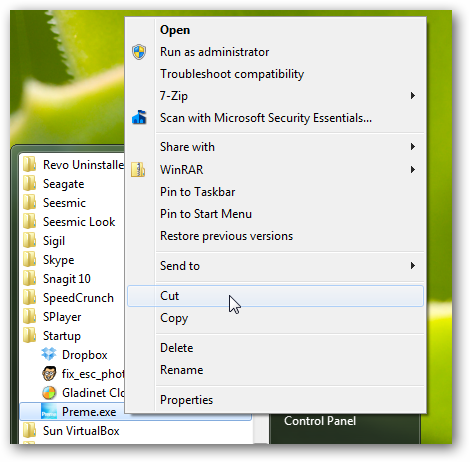 It lets you minimize windows with your scroll wheel, open the Start menu by hovering over it, activate Flip 3D by hovering over a corner of your desktop, dock windows to the side of your desktop, and more. It contains a grab-bag of features, so all of the new tricks may not appeal to all users, but you can choose the ones you like and turn off the rest. Download Preme for Windows 7 (link below), and run the program to get started. Click Ok to accept and continue. Note: This application is provided as is with no warranty! It is also still in Beta so use your best judgment about installing it. We had no problem on our test computers, but you might not want to install it on your work machine and have the IT Dept upset with you. After a few moments, you’ll see a prompt letting you know that the installation is complete. Preme doesn’t actually have to install on your computer, but instead just copies itself to the startup folder so it will automatically run whenever Windows starts. The Preme window will now open, and you can select which features you wish to activate. We found the Touch Slide Window feature to be the neatest. If this feature is enabled, click the window border directly underneath the minimize or maximize buttons and the window will slide over and hide on the side of your screen its closest to. 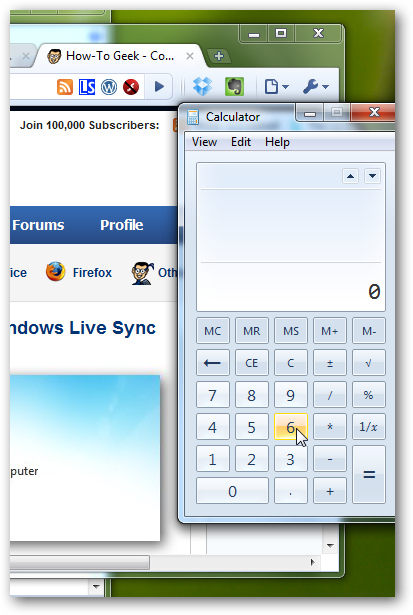 This lets you quickly access a program, to check data, use Calculator, or more, without your other window losing focus. You can then directly use the window while it’s docked, or drag it out to un-dock it. 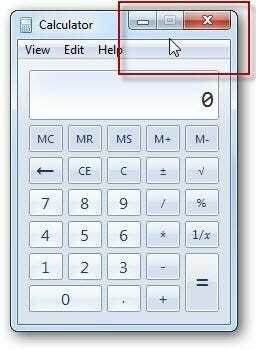 If you’re having trouble figuring out how to use it, click the How? button in the Preme settings window. 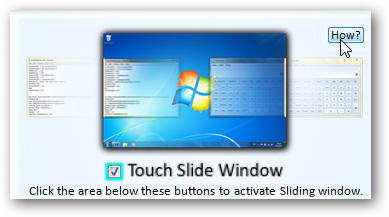 This will start a full-screen demo that uses your mouse and windows to show how to use the slide windows. It will describe each step with mouse tooltips, though note that you cannot use your computer otherwise while the demo is running. Many of the tweaks use the region below your minimize, maximize, and exit buttons to activate. Click this spot to dock the window on the side, hover over it and scroll down to minimize the window, or click and hold this spot to keep the window on top. From the bottom of the dialog, you can choose to hide the tray icon, Uninstall Preme, or customize what each corner does by clicking the More button. Press Ok when you’re done changing your settings, and start using your new effects. You can change your Preme settings anytime from its tray icon. You can select Preme Interface for the full dialog as above. Or, select Quick to change the settings quickly from a small tray popup. This may be the easiest way to turn Preme features on or off. Preme will automatically run with your customized settings whenever you start your computer. 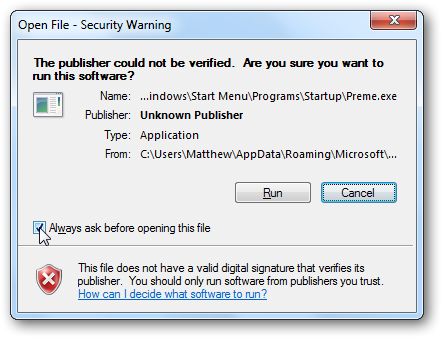 You may be prompted each time your computer boots to verify whether you want to run this application, however. If you’d rather not be notified before it runs, uncheck the box and click Run. 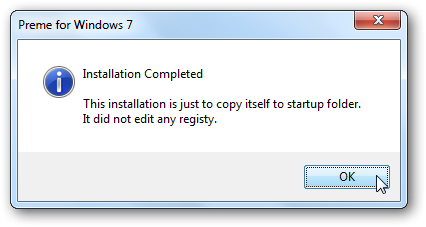 As mentioned before, Preme copies itself into the Windows startup folder during the setup. If you’d rather Preme not run at startup, you can remove it from the startup programs folder. The easiest way to do this is to open All Programs in the Start menu, select the Startup folder, the right-click the Preme icon. Now you can cut and paste the program elsewhere, and then just run it when you wan to use Preme’s features. Or, you can delete the file if you don’t want to keep using Preme. If you’d like to add a few nifty effects to Windows 7, Preme is a nice little application that brings some fun features to your desktop. We especially like the ability to dock and hide windows on the sides of the screen. There’s effects for everyone, and you can select the extras you want to use. Sound off in the comments, and let us know what your favorite Preme effect is!